Lewis Bennett entered a guilty plea at a hearing Monday in Miami. The 41-year-old Bennett faces a maximum eight-year prison sentence in the May 2017 disappearance of Isabella Hellmann, his wife of three months. A man with dual British and Australian citizenship whose newlywed wife went missing at sea as the couple sailed off the Bahamas on a belated honeymoon pleaded guilty Monday to an involuntary manslaughter charge in federal court. Lewis Bennett, 41, entered the plea at a hearing Monday in Miami. He faces a maximum eight-year prison sentence in the May 2017 disappearance of Isabella Hellmann, his wife of just three months. U.S. District Judge Federico Moreno set sentencing for Jan. 10. "Although nothing can ever erase the pain and suffering caused by Lewis Bennett's criminal acts, the U.S. Attorney's Office and our law enforcement partners hope that the defendant's admission of guilt is a step toward justice for the victim," U.S. Attorney Ariana Fajardo Orshan said in a statement. Bennett, a mining engineer, had told the FBI and British journalists that he and Hellmann, a South Florida real estate agent, took their 37-foot (11-meter) catamaran, Surf Into Summer, for a Caribbean cruise. They left their infant daughter, Emelia, with her family in Florida. As the catamaran passed the Bahamas on the return to Florida, Bennett sent out an emergency radio signal. When the Coast Guard found him on a life raft three hours later, he told rescuers he left Hellmann on deck as he retired for the night to their cabin. He said he was jolted awake when their craft hit something and that Hellmann was gone when he went outside. He said he abandoned the catamaran in a life raft because it was sinking. A sworn document signed by Bennett and filed in court says that he could not recall whether he called out for his wife. He did not deploy any flares and did not search for Hellmann in the water with either the catamaran or an attached dinghy. Nor did Bennet immediately activate any emergency equipment or call for help using his satellite phone. It was not until Bennett boarded the life raft that he called for help and reported his wife missing, about 45 minutes after he was awakened. Prosecutors said Bennett is an experienced sailor who received a certification from the Royal Yachting Association in the United Kingdom as a "Coastal Skipper." The training included instruction on emergency procedures such as man-overboard protocols and night-sailing safety. His wife was not nearly as experienced. The Coast Guard eventually located the boat. The FBI says an inspection of the catamaran before it sank showed portholes below the waterline had been opened and damage to the twin hulls appeared to have been caused from the inside, meaning the boat may have been intentionally scuttled. 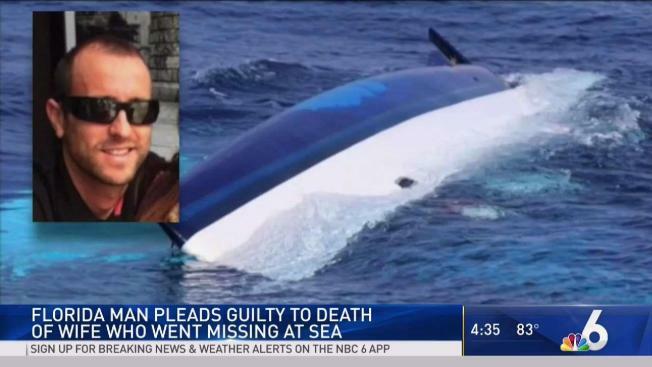 Also investigators found Bennett on the life raft with $100,000 worth of coins stolen from a yacht he had worked aboard in 2016. Bennett pleaded guilty to the coin theft charge and received a seven-month prison sentence. While serving that sentence, he was charged in February with Hellmann's death and has remained jailed.